Last night was a great night for working people across the country. In Missouri, the voters stood up for all working people and overturned the state’s Right to Work law by citizen veto by a 2-1 margin. This victory was a rejection of corporate-backed extremism against working families that will reverberate nationally. Working people are on the march to take back their communities and reset the political landscape and this win and the momentum here in Ohio last night are further proof. Not one political handicapper thought the Special Election in Ohio’s 12th Congressional District yesterday would be a contest. Putting it in historical context, one could understand the skepticism. This congressional district has been in the hands of the Republicans for the last 40 elections with one exception. But after the dust settled last night, the race is still too close to call and Labor’s endorsed candidate Danny O’Connor is moving forward regardless as there will be a rematch of this race in the November General Election. Let me be clear, the fact that Danny O’Connor is virtually tied in this race is amazing. This is a district that Donald Trump won by 11 points and the Republican who vacated the seat won by 37 points in 2016. Ohioans are ready for a change, and when we have candidates that talk about lifting up workers, raising wages, making health care more affordable and protecting our retirement benefits we will win this year. Fortunately, from the top of the 2018 General Election ballot with Richard Cordray for Governor and Sherrod Brown for U.S. Senate, all the way through the ticket, we have endorsed candidates that are fighting for us. 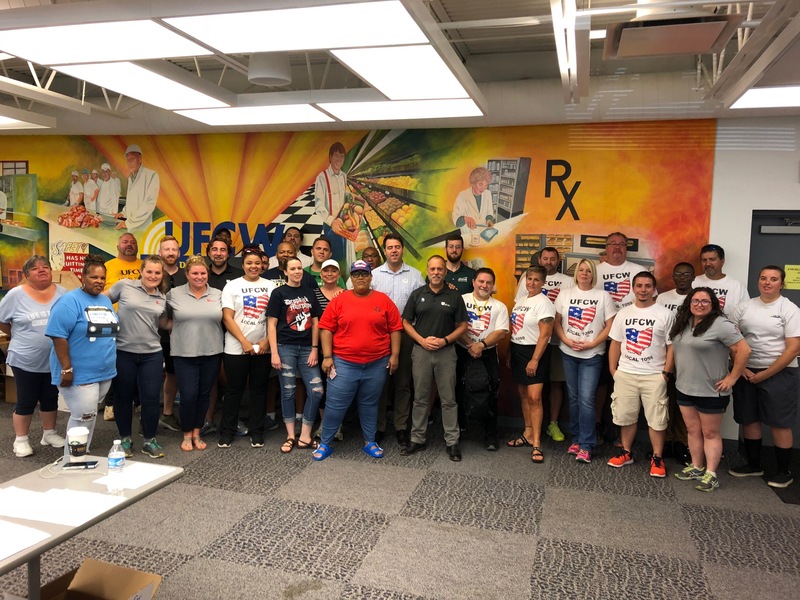 Our Labor 2018 – Tack Back Ohio program as demonstrated yesterday is up and running strong and we need to keep the momentum going. On Saturday, August 25, we will have another LABOR 2018 Day of Action across the state and in your region to canvass and phone bank for our endorsed candidates. More information will follow, but please set a few hours aside to join us as we walk and talk with union members about the importance of this election and where the candidates stand on the issues that matter most to them. I want to thank the LABOR 2018 team and volunteers for the amazing work in CD12 and setting the stage to build on the momentum for victory in the fall. Together we will win. Then we will drive the state and national policy agenda to help working people get ahead and establish and economy that grows from the middle class out with unions leading the way. next post: Join Us For A Labor Rally Near You!